This page explains a little about Freemasonry and Fortitude Lodge, what we do, and what a member can expect. You may want to read the page "What is Freemasonry?" first. There are approximately 6,000 Freemasons in Middlesex, belonging to about 235 Lodges and other Masonic entities. Fortitude Lodge meets at a purpose-designed centre in Kenton, Harrow, set in attractive grounds with excellent parking. The extensive centre, one of five in Middlesex, has meeting rooms, which we call Temples, dining rooms and a comfortable bar. For those using public transport Kenton and Northwick Park stations are within walking distance. Fortitude Lodge was created in 1947 from another Lodge, Albert Duke of York No. 4960, which had a surplus of members. Our ‘mother’ Lodge has the distinction of being named after Prince Albert, who later became King George VI, and who presided over its first meeting. Fortitude Lodge celebrated its diamond jubilee in 2007 and now has its own proud history. Fortitude is a sociable Lodge of like-minded people who enjoy each other’s company, who appreciate the traditional ceremonies, and who have fun together in raising money for charity. In the convivial atmosphere of a Masonic meeting, members soon learn to relax and enjoy taking part in something rather special. It’s a place where everyone can be themselves and contribute in a way that suits their own personality. Many members actually find that learning and performing these rituals is a useful programme of self development. For those that want to do it, Freemasonry also provides the opportunity to practise after-dinner speaking with a totally friendly audience. Doesn’t all this take up a great deal of one’s time? Fortitude Lodge meets four times a year, on the fourth Saturday in October, January and March, and on the second Saturday in May. The formal part of the proceedings usually starts mid-afternoon and is followed in the evening by a dinner and a few entertaining speeches. Additionally there are instruction meetings on Friday evenings from October to May where members learn more about the principles of Freemasonry and master the ritual performed in the ceremonies, followed by a drink and a chat in the bar. You will not be expected to attend every Friday evening, just come whenever you can. Freemasons also gain great pleasure in visiting lodges other than their own, making new friends and seeing different traditions followed. While there are numerous opportunities to engage in Masonic pursuits, Freemasonry encourages its members to live well rounded lives and always stresses that family and personal affairs must come first. In the interests of domestic harmony, people interested in becoming Freemasons should bring their wife or partner into the picture at the earliest possible stage. Our centre in Harrow is open to visitors to view the Masonic temples where the ceremonies take place and to ask about the issues discussed on this website. Fortitude Lodge holds some excellent social events each year to which wives, partners and non-Masonic friends are warmly invited. In recent times these have included a summer barbecue, canal trip, weekends away, dinners, family outings and some charity fund raising events. Membership costs compare favourably with everyday sports and social clubs. Freemasonry is not a rich man’s hobby but an affordable and rewarding pastime for the many. It will cost you a lot more to play golf than to join a Masonic Lodge! Freemasonry distinctly teaches that a man's first duty is to his wife, his family, his connections, and himself. No one should join who cannot afford to pay the fees and subscriptions to his Lodge, and this without detriment to his responsibilities. Members are encouraged to donate to charity whatever they can comfortably afford. There are no distinctions of class, and members of every trade, profession, and occupation are welcomed. Candidates must be men of 21 years or over - there is no upper age limit. Many members join in their twenties or thirties, but equally many join as they approach retirement when they find that they have much to contribute. You must be of good character, and not have any criminal convictions, discounting minor motoring offences. 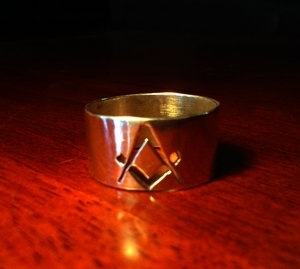 You will need to be proposed and seconded by current members of Fortitude Lodge who can vouch for your character. Freemasonry embraces members of all religions, all races, and all cultures. Although you do not need to be a regular attender at a place of worship, belief in a Deity must be expressed before any can be initiated, and prayers to Him form a part of the ritual. Freemasonry recognises no distinctions of religion - in Freemasonry, personal beliefs are just that; personal. Members of widely differing faiths work in complete harmony. No-one will pressurise you into joining – it has to be a decision you are comfortable with. If someone sent you a link to this website, speak to them and and ask as many questions as you wish. If you found this site yourself, we would encourage you to contact us and ask any questions you have. When you are ready, you will have the opportunity to meet other members of the Lodge for a wider discussion. If you would like to join you will be asked to complete an application form, and you will be invited to meet the Lodge Committee for an interview. This is nothing to be anxious about; its purpose is to make sure that you understand what joining a Lodge is all about and that you fulfil the criteria for membership. Before you can be admitted a ballot of all Lodge members will be taken and you can then participate in an entrance ceremony. Few people regret joining Freemasonry, and most stay for life. Those who are really keen discover that there are other Masonic orders that one can go on to join, and find they are on a fascinating journey. It’s up to you how much or how little you would like to do, but as with most things in life, the more you put in the more you get out.